When can you say you’ve created a good stock? 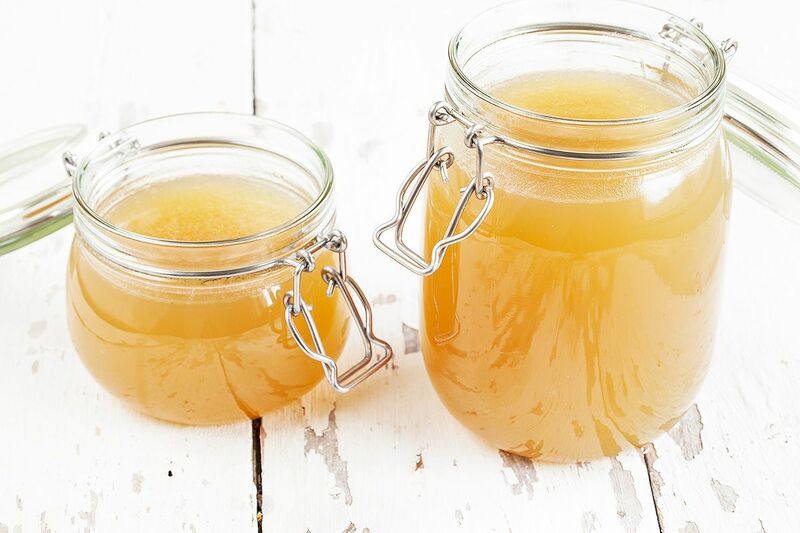 Chicken stock should be a bit ‘jelly’ when chilled, which means it’s aromatic and a bit thicker than water. It should have great flavor, so it gives any sauce a good body. You want to have a clean chicken and vegetables flavor, so you can use it in all kinds of recipes. Every cook has their own favorite ingredients for making stocks, there’s no right or wrong. Most restaurants always have large pans on the stove, to throw in any kind of leftover veggie that’s suitable for a stock. It’s the best kept little secret for the most wonderful soups and sauces. You can choose any kind of chicken you like. Pieces of the chicken, a whole chicken or even just chicken bones. Whichever you prefer and got on hand. You can choose to make a light stock by just adding everything to a pan and pour the water over. Then turn up the heat and let it simmer for a few hours. We like to roast the chicken legs and veggies first. You can roast them in the oven, but there’s no need to create more dishes than necessary. HEAT a large casserole on high heat and add a little bit of butter, or olive oil, whichever you prefer. ADD the chicken legs, when they start to brown after a few minutes, turn them over and add the chopped and washed veggies. Roast them for a few minutes more. The reason we like to roast everything first, is of course the flavor. The flavor will be more intense, another positive side effect is that the color will get richer. ADD the sprigs of rosemary, thyme and parsley. Also add the peppercorns and bay leaves. POUR cold water into the pan and cover with a lid. Let it simmer on low heat for at least 1,5 hours. The longer it’s on the stove, the more flavor you will have in the end. When halfway cooked, carefully remove some of the fat that rose to the surface. 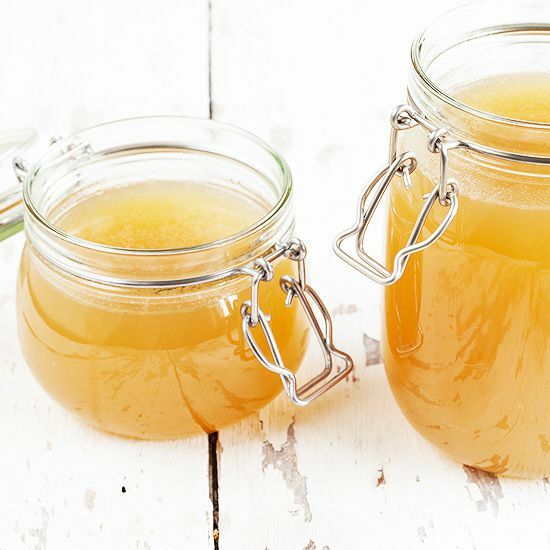 If you have a cheesecloth, use it to drain the chicken stock. When you don’t have a cheesecloth, you can use a fine sieve to drain. 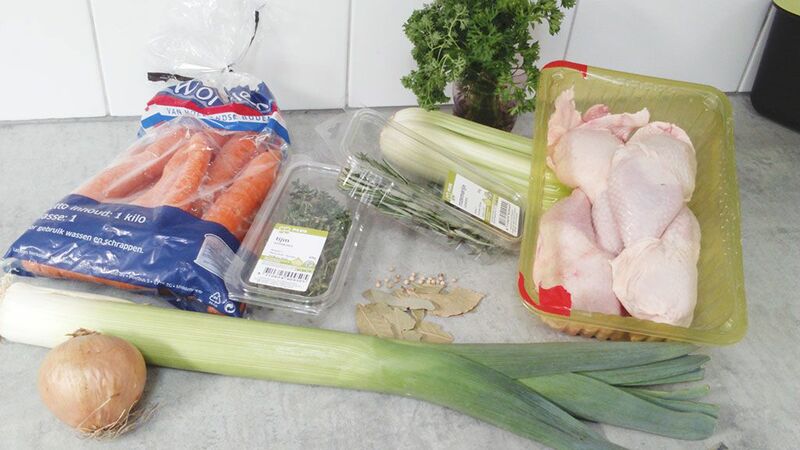 Throw everything out, and if you have some nice meat left on the chicken legs, use it as little pieces of meat to serve with this chicken stock. Now it’s ready to use as a great base for about everything you like! Soups, stews, sauces, you name it. If you would like to serve it as a chicken soup, pour it back into the pan and reduce it a little bit more for an extra strong flavor.